A hackathon is a programming competition where small teams are asked to develop a new application in a short period of time, usually 24 hours. You usually get no sleep, eat everything that you can find and you code like you’ve never done before! A hackathon is very stressful but can be super fun, it depends on how you prepare for it and how you roll with it. Coming on time and bringing your laptop is not enough, and a few small preparations can make a huge difference to the whole hackathon experience. What do I even know about hackathons? 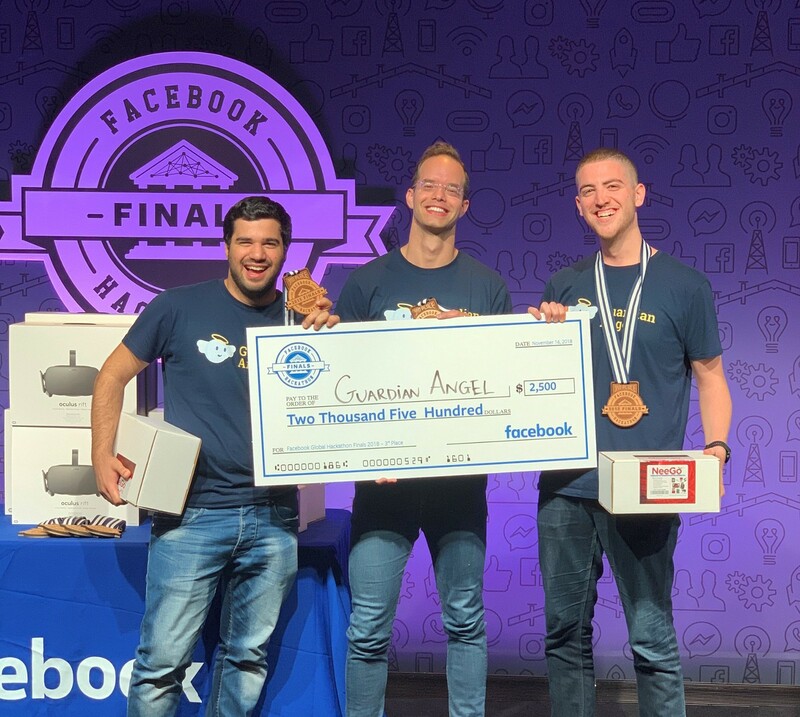 On September 2018 two friends and I participated in the Facebook Tel Aviv Hackathon and won the first place, together with a flight ticket to the Global Facebook Hackathon Finals at Facebook’s headquarters in Palo Alto, California. There, after competing with 20 other finalists from all around the world we were nominated as one of the top 6 teams and qualified for a live presentation on Facebook’s Hackathon page. After pitching our ideas to hundreds of people on site, and many more online, we won the third place and got a $2,500 big fancy check. 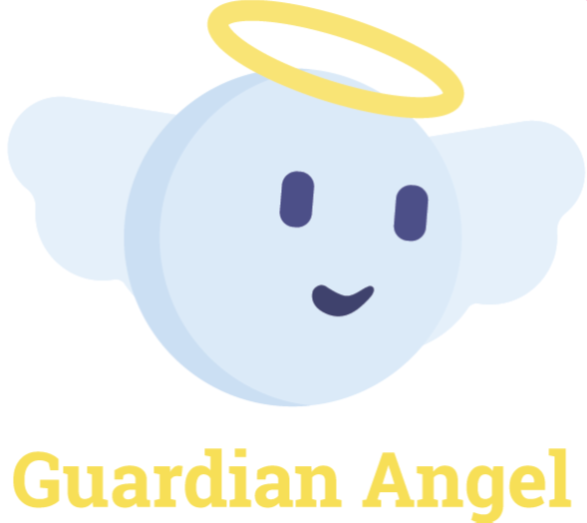 We created an app called “Guardian Angel” that tracks the location of a person with Alzheimer’s, Dementia or any other condition that can cause disorientation and getting lost. The app knows the user’s safe locations (home, work, supermarket, library) and continuously checks that the user is close enough to at least one of these points. 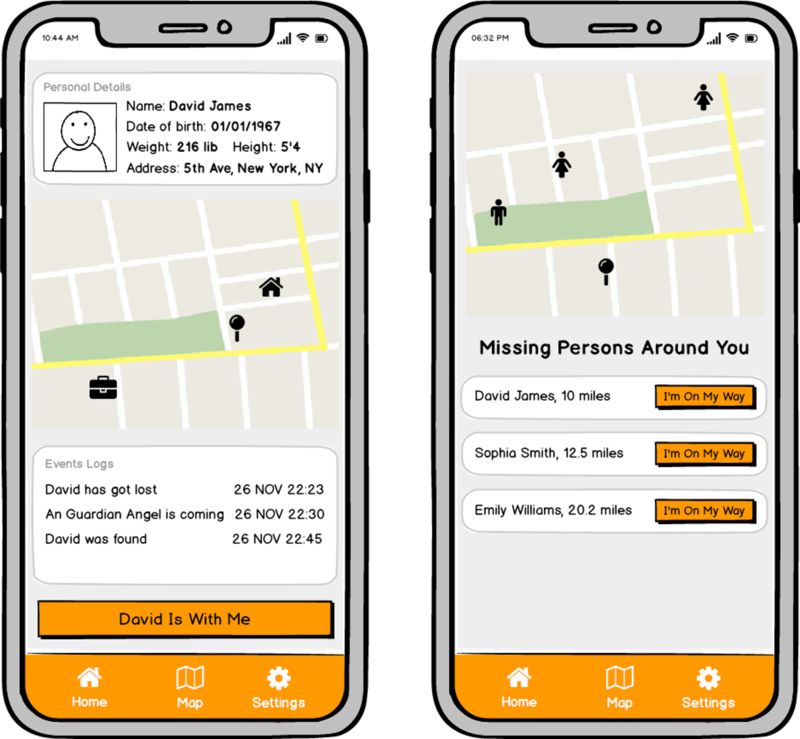 In case the user gets too far away from all points, it alerts a family member that the user may be lost, together with his live location. In cases where the family member is close and can get to his relative quickly, that would be it. But in situations where some closer help is needed, this is where the guardian angels step it. 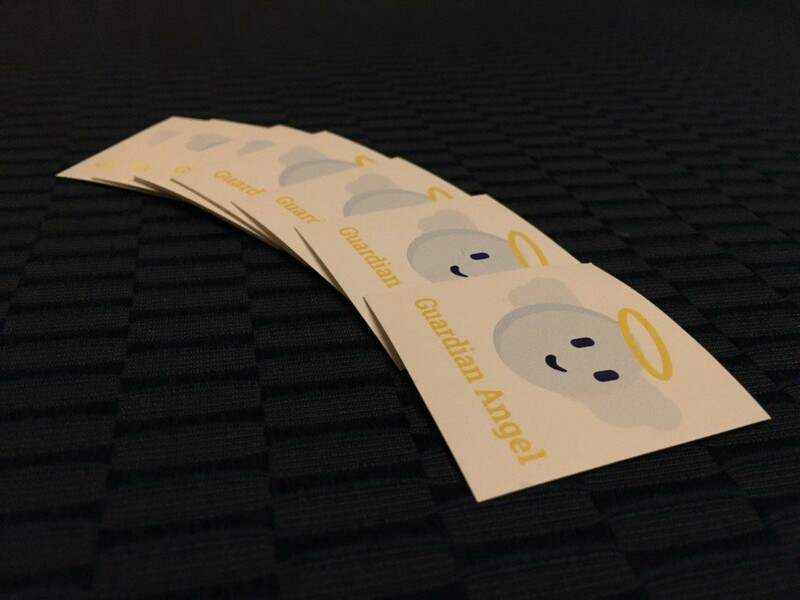 Guardian angels are family members of users with such conditions that have the app and have experience in approaching people with Alzheimer’s or Dementia. If a user is lost and is close to them, they will get a notification with all is important information. They can then find and assist him. I would like to share with you the key concepts that led to our success. 24 hours to develop an app is a really short period of time. You would not want to waste any of that time on brainstorming for app ideas. This is why I suggest you come with a solid app idea and focus on implementing it during the hack. In my opinion, the best ideas come from your daily life. What bugs you in your day to day routine? What problem has not been solved yet? Don’t focus on finding the cure for cancer, think of a small need you can address. A good idea is one anyone can relate to. I have been volunteering in the police for over a decade now, and there were too many times when I had to look for missing people, usually with Alzheimer’s or Dementia. This is what led us to Guardian Angel. Even though the hackathon is 24 hours long, you get much less coding time than that. There are speeches, meals, tours, raffles and plenty of other distractions that take from your coding time. I would estimate that the actual coding time we had was ~16 hours. Having said that, make sure your app can be brought to a functional state in less than 12 hours. Always leave room for errors and surprises (that as we all know, do come). Also, split all your app requirements into two categories — “Must have” and “Nice to have”. This will help you focus on the truly important parts of the application first. Setting up a development environment can take time. Make sure you have your repository ready, IDE installed and local environment set in a “hello world” configuration few days before the hackathon. If you chose to try some new technology, test the components you may need in advanced. We decided to develop this app using React Native, a framework we have never used before (though we do have some experience in React.js). This is why we met a week before the hackathon and installed all the dependencies, set up emulators and tested the API of the device geolocation. 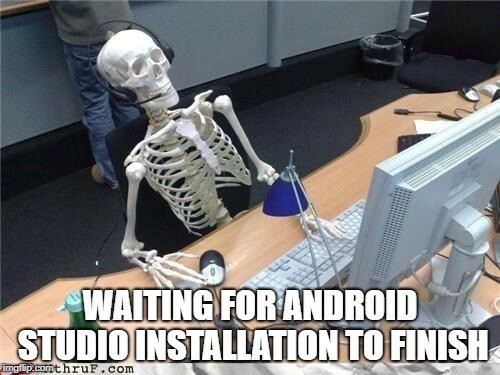 If you ever tried to install Android Studio before, you surely know it may take a while. Remember that hackathon judges see 20 apps in less than an hour, and may easily forget your group/app name. Having a name that is directly related to the product can help them recall the presentation when deciding on the final score. Being easily associated with your app is a good thing to want in a hackathon. One of the key factors of our success was definitely the branding. We went all the way with it. We created a logo, made some shirts and even printed laptop stickers. We wanted to make sure people (and more importantly — the judges) will always know who we are and what we are developing. This was also a great conversation starter because people saw others with our stickers and stopped by our table to get them too. Can you back your app with data? Can you prove it answers a real need? Check that in advanced. Two weeks before the hackathon we met Prof. Michael Davidson, head of the Israeli Alzheimer’s center. He told us that there are more than 70 million people with Alzheimer’s worldwide and that the app should target those who are in the early stages of the disease since they are still independent. He also pointed that one wrong turn is enough to disorient them and that it usually happens when they walk between two familiar locations. This critical information helped us design the algorithm that determines whether the user is lost. Who is your target audience? What is the main user flow? How do the screens look like? Having a design ready in advanced can help you save time, face challenges sooner and better plan your application entities and databases. Even before boarding the airplane, we already had mocked screens and database structure ready, which saved us a lot of time. What are you going to talk about? Do you require special props? If so, you need to bring them with you. For the Tel-Aviv Hackathon, we created a 1-meter tall cardboard model of a car, just so we could better demonstrate the usage of our app, which was related to gas-filling. Keep in mind that in order to stand out, your pitch must be unique. Consider inserting some jokes, using props or starting with a true story. Thanks for the tips! Where can I see your pitch?